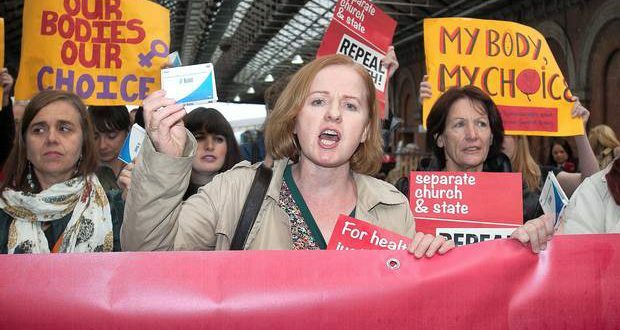 Carah Daniel spoke with Socialist Party member and Solidarity TD Ruth Coppinger about the upcoming referendum to repeal the 8th and how the battle for abortion rights can be won in Ireland. Ruth was also a member of the Committee on the Eighth Amendment. What was it that brought about the committee on the 8th amendment? The Committee was set up alongside the Citizens’ Assembly, to deal with its recommendations. At the time, the government was under intense pressure from the repeal/ Pro Choice movement. It had been the summer of the Maser mural and the large March for Choice. Solidarity-People Before Profit gave 100 days notice of a Bill to hold a referendum to repeal the 8th Amendment and there’s no doubt that the government wanted something in place by the time of that debate that would allow it vote down our Bill. Of course, while the Citizens’ Assembly was rightly seen as a can-kicking exercise to delay acting on repeal at once, it’s still always dangerous for the establishment to hand over control of an issue to ordinary people. The citizens listened and engaged in a rational debate and came back with sympathetic, ground-breaking and pro-choice recommendations which the Dail Committee had to deal with. What do you think about the outcome of the committee? Is it a positive step? We’d have to say the recommendations are historic, if you consider only four years ago the same parties voted for criminal sanctions against people having abortions. The hope was the Dáil Committee would water down the unexpected recommendations of the Assembly. This was the media commentary at the time. And it did row back on later term abortions, which is a cop-out. But the 12 weeks on request is hugely significant and would cater for 92% of abortions. I think the pressure of events forced the Committee members to deal with the reality of abortion for the first time. There was nowhere left to hide. How significant were abortion pills and the work done to highlight them in the committee? A whole number of witnesses at the Committee referred to the widespread use of abortion pills. Notably, Peter Boylan, chair of the obstetricians, coined the phrase “The genie is out of the bottle”, as in, we can’t pretend abortion can be hidden away. In their closing statements the Fianna Fáil and Fine Gael politicians voting for 12 weeks explicitly cited medical abortion pills as the key reason this had to be done. Key research from Dr Abigail Aiken showed the level of use of pills through the internet and the satisfactory reactions of Irish women and pregnant people who’d used them. I believe the work done by the Socialist Party and civil disobedience actions by ROSA played a massive part in this. Working in partnership with Women on Web, the abortion pill train and buses publicised the availability of the pills, helped women access them and defiantly made a political statement about the abortion ban and need for repeal. 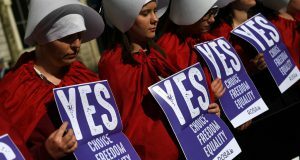 What type of a campaign are we going to need in order to repeal the 8th amendment and have progressive abortion laws in place? We are still not there yet and will need an ongoing campaign to ensure the establishment actually hold a timely repeal referendum and legislate for abortion along the lines recommended. Already, there are indications of an attempted row back, with some senior FG and FF figures not supportive. The repeal/Pro Choice movement will have to mobilise to ensure we get what is needed and pile on the pressure on the powers that be to legislate – regardless of their personal feelings. 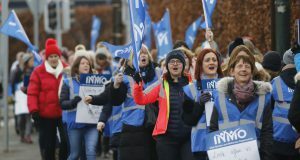 Contacting TDs will be crucial but international women’s day should be the occasion again for huge demonstrations for repeal and abortion rights. Activating young people and women on this critical social issue will be vital to win our rights.